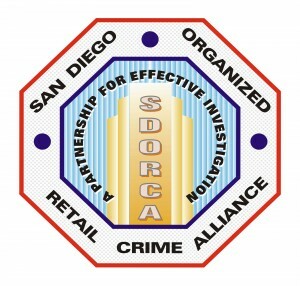 What is the San Diego Organized Retail Crime Alliance? The San Diego Organized Retail Crime Alliance developed out of the efforts of local law enforcement throughout San Diego County. Beginning in March of 2008, several large 'booster' crews were systematically hitting multiple malls and retail stores thoughout San Diego. These crews were very organized and profitable; averaging $10,000 per week in clothing theft. As Detectives closed in on these crews, they realized their efforts would be best served if they worked together. Detectives from the Escondido Police Dept, National City Police Dept and San Diego Police Dept realized a bi-monthly informational / training meeting would be perfect. At first the intention was to bring together law enforcement to share their investigations. It soon became apparent that bringing in loss prevention and security professionals would not only enhance the sharing of information, but would improve overall investigations and ultimate convictions. The result is the San Diego Organized Retail Crime Alliance.